In order to defend his fib under mild scrutiny, Kessler created an account on Newgrounds.com. In September of 2007, Kessler finally began uploading original, instrumental GarageBand songs (usually composed of a cacophony of random mismatched loops, often stacked on top of each other) to the site under the username FunkmasterCatking. Soon realizing the limitations of GarageBand 2007 couldn’t live up to the hype he’d built for himself, he pestered his mom into buying him a license for the full-fledged digital audio workstation most popular among Newgrounds users: FL Studio. More-versatile music production software gave birth to more-dynamic sonic abominations and a slew of bizarre, video game-inspired techno/trance songs ensued. Suddenly he was making music for fun as a creative outlet. Flame reviews only emboldened Kessler and he continued to submit his songs to the site on a monthly basis, improving his production and composition skills marginally with each new track all throughout middle and high school. The embryo of Kytoon formed at the University of Missouri in Columbia, where Kessler began to channel new anxiety into his music amid stark social isolation. An overcompressed, very weird, overall unclassifiable electronic album titled It’s All Relative (2013) was produced and released under the new alias Ghost Lawyer. The album languished in obscurity. Kessler was undeterred. In 2014, Kessler transferred schools to Middle Tennessee State University and moved to Nashville, TN to get serious about the music thing. Meanwhile, an entirely new dimension of social isolation and depressive anxiety redefined Kessler’s existence. Locked in his room and rife with fresh new angst, Kessler went back to the drawing board. Kytoon manifested out of the manic depression and produced its first single, Silently Rocking (2015), featuring synths, guitar playing, layered vocals, relatively clean production, and for the first time, lyrics about contemplating death. Three more singles about feeling sad followed that year into early 2016. Kessler recruited his friend who knew how to push buttons and kind of play guitar, and Kytoon played its first show ever as a two-piece at an empty dive bar in Murfreesboro, TN. Finally equipped with a live band, the Kytoon machine revved up. Inaugural merch was developed and Kytoon played some really cool shows at bonafide music venues. 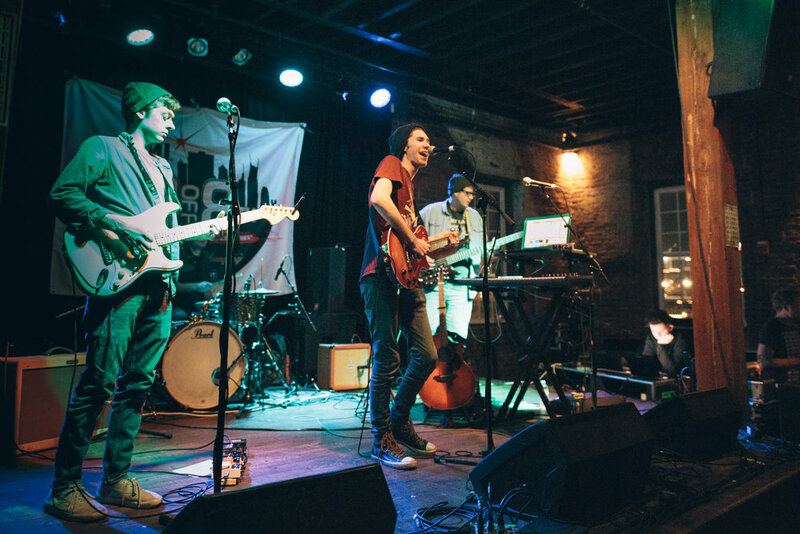 A moody, rock-tinged single called Save My Breath (August 2018) came out and the Kytoon gang immediately hit the road in September for Kytoon’s first-ever [mini-]tour, playing a smattering of gigs between Nashville, TN and Denver, CO, culminating in a raucous single-release show at The High Watt in Nashville.